Dodgeball Trampolining - Gaymers iNC.
Gaymers! Who loves trampolining? Add in some balls… NOW PICK THEM UP AND THROW THEM AT EACH OTHER! 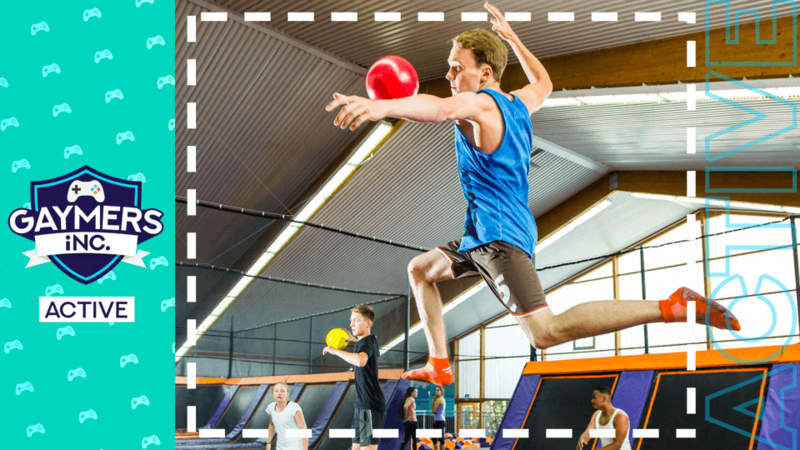 Dodgeball trampolining is back again for another Gaymers Active meet-up! If you wear glasses, switch to contact lenses if possible: a ball to the face might be a little painful! We’ll be split into teams as we battle against each other for the dodgeball crown! After we’re done, we have some time to jump around Oxygen and a long the pits! Get tickets - £16.50 Join facebook group This is a ticketed event. Please join the Facebook group and get a ticket before going to the venue.